This carrot cake contains no oil or butter but is moist and super flavorful (my husband doesn't know it's diet) It doesn't take too many ingredients, it's quick to make and is delicious on it's own without the frosting. You will not regret making this!!!! Preheat the oven to 350(F) degrees. 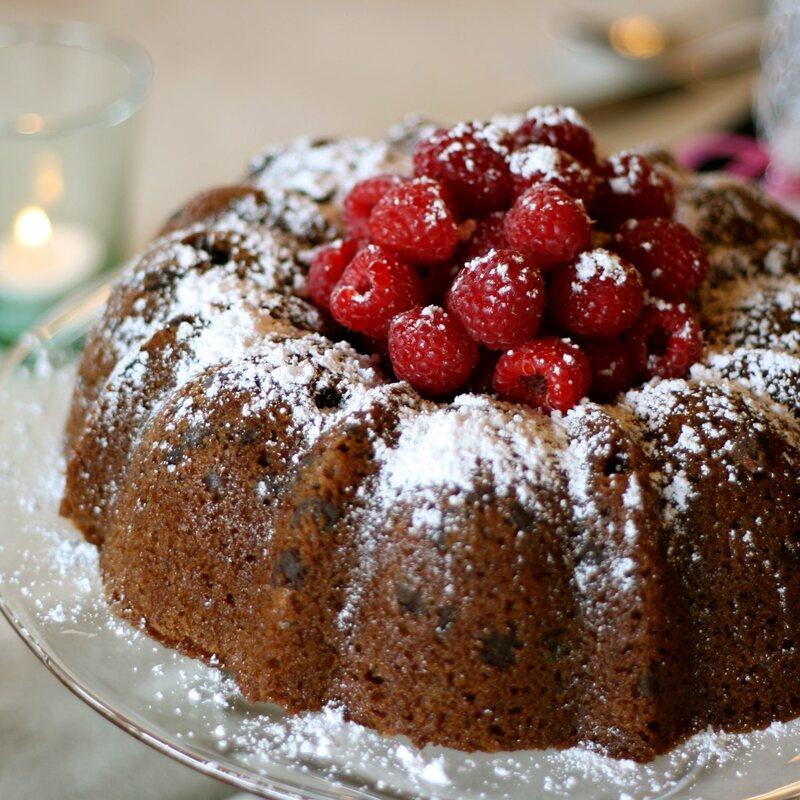 Spray bundt cake mold with baking flour spray (or use a little vegetable oil rubbed with a paper towel). Grate the zest of the orange and set aside. Squeeze the orange juice into a bowl and add the golden raisins to the juice. Set aside. Using a handheld or standing mixer, whisk the eggs and sugar with the orange zest for five minutes until pale and full of air. Add the grated carrot and beat to incorporate. Slowly add in the pumpkin spice, salt, ground almonds, baking soda and flour, then quickly mix until all the ingredients are combined. Using a spatula, mix in the raisins and walnuts, along with any orange juice left in the bowl, until they are evenly distributed. Pour into the prepared pan and bake for 40 minutes or until a toothpick inserted into the center of the cake and removed comes out clean. Remove from the oven. Cool in the pan for 15 minutes, and then remove from the pan. Chill in refrigerator for an hour once cooled. To make the icing: In a large bowl, beat the first cup of sugar with the cream cheese, using a wooden spoon. Once you reach a paste, add the remaining sugar along with the lemon juice and zest. Refrigerate at least a half hour. Ice all over the top of the cold cake, slice into 9 portions and serve..